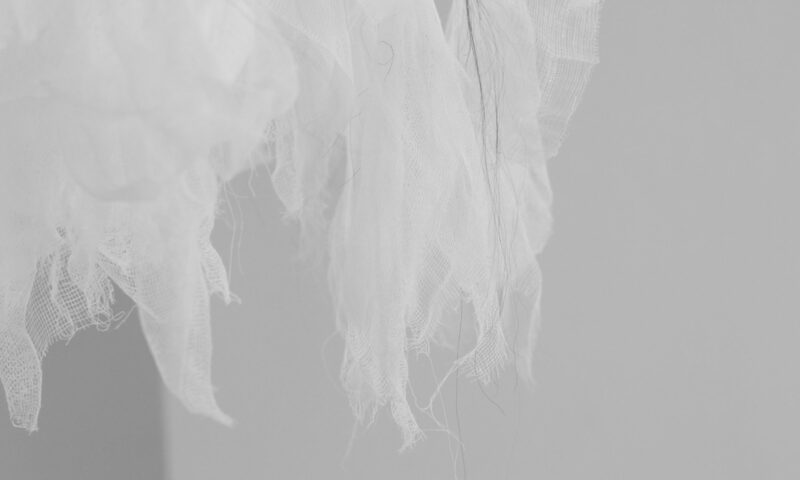 I can’t believe that my exhibition Paper Bloom is at the half way mark already! Just four weeks left to go see the exhibition. Here’s a video from the launch event of Paper Bloom, made by Edel Golden manager of the Jackie Clarke Collection, featuring Vincent Woods, Gaynor Seville, and I. Today as part of the ‪Bealtaine celebrations in Mayo, along with Edel and Anne Marie from the Jackie Clarke Collection, I gave a guided tour and talk of my Paper Bloom exhibition. The guided tour started off with Ann Marie McGing, Mayo County Councils Assistant Arts Officer, saying a few words, followed by Anne Marie Forbes from the Jackie Clarke Collection, who gave a background on the Jackie Clarke Collection. 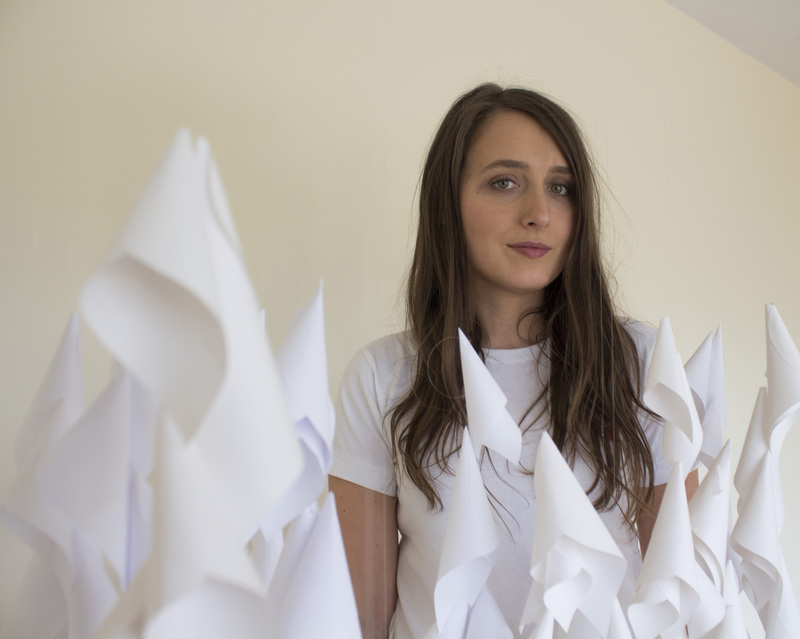 I spoke about my experiences of being artist in residence at the Jackie Clarke Collection, and the making of Paper Bloom. Edel Golden, the manager of the Jackie Clarke Collection, was there to give everyone an insight into the history of some the artifacts that inspired my artwork Paper Bloom. After the talks at the Jackie Clarke Collection we went to the Seomra to see the community exhibition, and then on to the Ballina Civic Offices to see my Paper Bloom installation piece. It was a fantastic day, since the weather was lovely we gave the talks outside which was a real bonus! Thank you so much to everyone who came along today. Vincent Woods, writer and broadcaster, talks about my installation work Paper Bloom at the official launch last Saturday…..
Clink on the video to press play and watch it! A big thank you to Vincent Woods for his fantastic speech, what lovely words. Paper Bloom is on exhibit at the Ballina Civic Offices until the 25th June, Monday to Saturday 10.30 to 4.30. Free admission and all are welcome. Yesterday was the official opening of Paper Bloom, at the Ballina Civic Offices. What a fantastic day! Paper Bloom is my newest piece of art work, the outcome from my 1916 artist residency at the Jackie Clarke Collection Ballina. I was very inspired by the Easter lily peace badges I saw during the site visit to the Jackie Clarke Collection back in June 2015. The Easter lily badges were placed in a wallet that belonged to Jackie Clarke. I was drawn to the wallet; it was something Jackie would have carried around with him closely. Using the peace lily badge and the feeling of being overwhelmed I decided to create an installation. The installation structure is based on the measurements of Padraig Pearse’s jail cell at Kilmainham Gaol Dublin. The structure is covered in 5,500 peace lilies handmade from fabric. The lilies are white; I wanted it to be peaceful as it is war that we are thinking about. The amount of peace lilies is overwhelming suggesting how one would feel when in war; uncomfortable. But at the same time the overwhelming feeling could signify the vast amount in the Jackie Clarke collection, having being described as ‘an overflowing treasure chest’. It was important to me to make a piece of art that is an acknowledgement to the great collector Jackie Clarke and an act of memory for the 1916 Easter Rising. I was completely blown away by the crowds of people who showed up for the opening. Thank you to everyone, I really appreciate it. And a big thank you to the speakers and to Tommy Doherty for doing a fantastic job of singing. 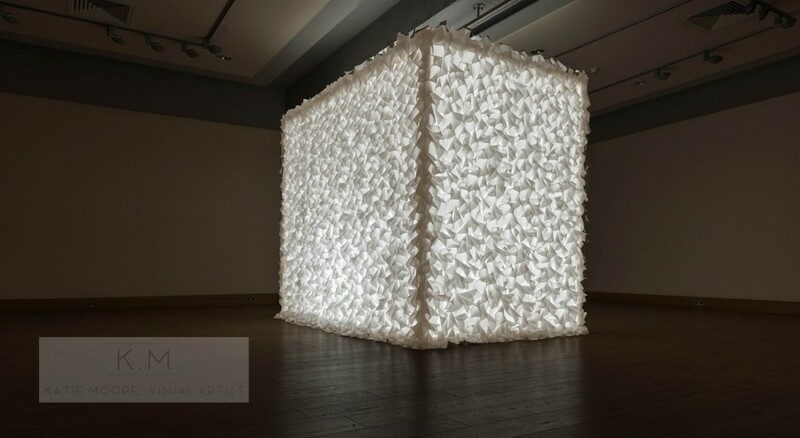 Paper Bloom is on exhibit at the Ballina Civic Offices until the 25th June. Open Monday to Saturday 10.30 to 4.30. Free admission. All are welcome. The countdown is on! 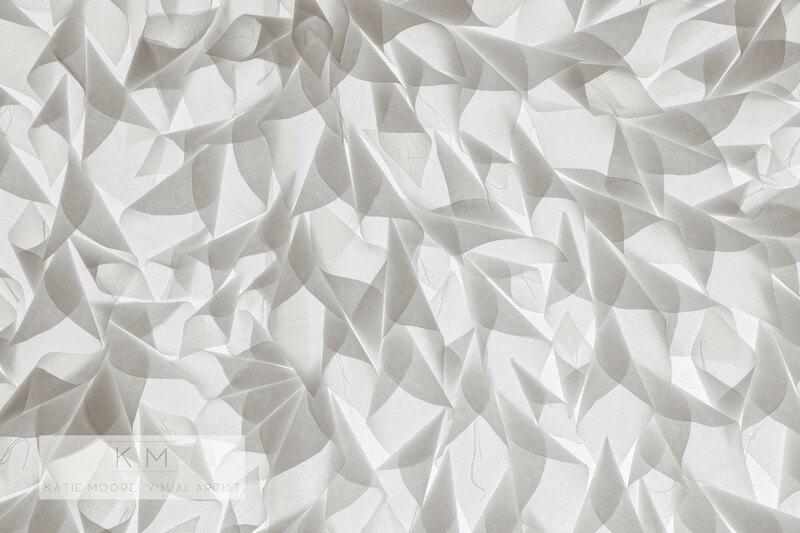 4 days until the opening of my Paper Bloom exhibition. Paper Bloom opens Saturday 7th May at 3pm at the Ballina Civic Offices with Vincent Woods, writer and broadcaster. 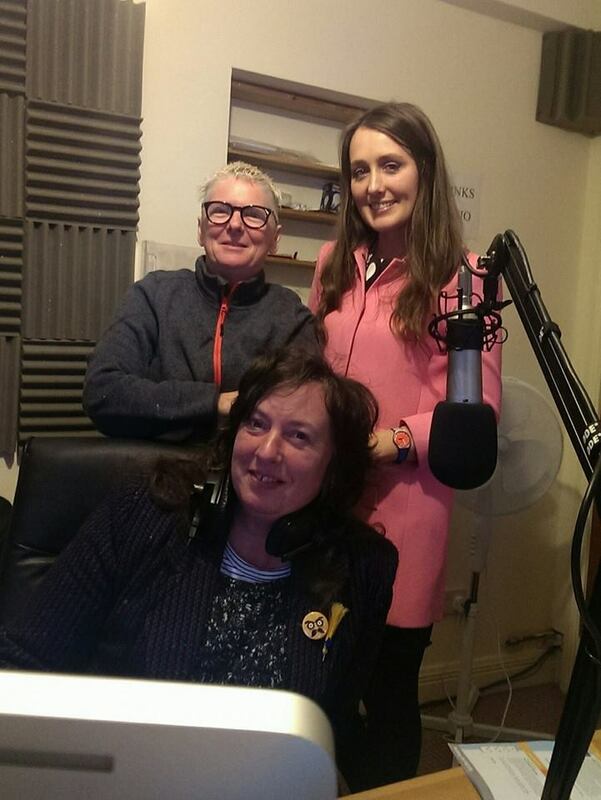 Yesterday I was invited by Grainne O’Reilly and Breda Burns to join them at Westport Radio for their Art Show from 2pm to 3pm. What a fantastic hour – We discussed my upcoming exhibition Paper Bloom, the Jackie Clarke Collection, and my life as an artist in Mayo. Thank you so much to Breda and Grainne.